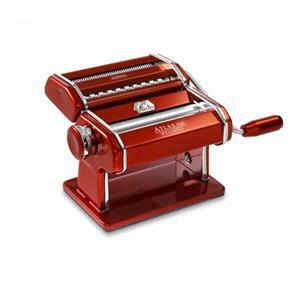 Meticulous detail and engineering make this the highest quality machine. The body is made of chrome plated steel, giving it a heavy weight for stability and the rollers are made of nickel plated steel. 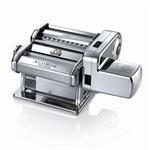 Clamp the machine to a counter edge and attach the removable crank handle to turn the rollers. Attachments are many and varied. 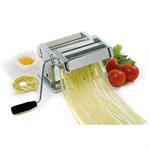 Up to ten different cutters (for ten pasta varieties) can be purchased separately. 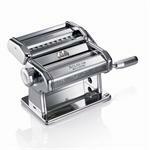 The pasta machine can also be motorized by purchasing the Atlas Marcato Pasta Machine motor.